Maybe many people nowadays have already known how to sign up for Facebook. However, this article is still very useful for the beginners who want to join the biggest social network – Facebook. Your First name: Enter your first name. Your Surname: Please enter your name into this box. This will be the name displayed on your Facebook account. Email or mobile number: You can enter an email address or your phone number you are using here to verify your account. 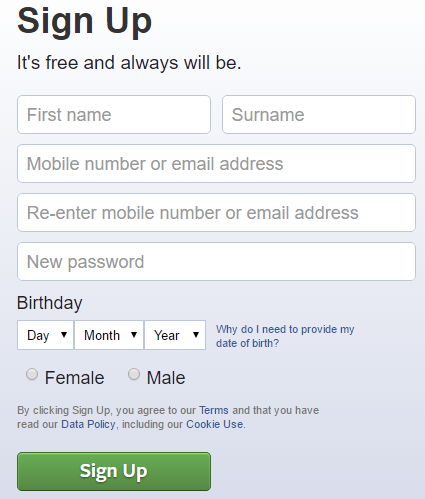 Birthday: Click the downward-pointing arrow to choose the date, month and year of birth (to create a Facebook account then you must be over the age of 13). Gender: Please tick the box Male or Female. After completing all the required information, click the Sign up button. Step 3: Facebook will offer some suggestions of searching your friends who are using Facebook via Yahoo, Skype or other email services, all you have to do is to click on the Find Friends button. If you do not want to do this right now, please click Skip this step to move on to the next step. Step 4: Your next step is to add an avatar for your account. You can click Add photo to upload a photo from your computer or Take a photo by webcam and set it as your avatar to distinguish from other accounts, also help your friends recognize you on Facebook easily. And if you want to do this later, select Skip. Here we choose Add photo. Now, you’ll choose one of your favorite photos to set as avatar. Click Next to continue. Step 5: So you’ve successfully created your Facebook account. Now click on About to update information such as: work and education, places you’ve lived, contact and basic info, details about you and life events. Now you can connect with your friends wherever you. It’s great, isn’t it? Besides, you can use some following software like: Yahoo, Viber … for chatting, making video call, free messages to your friends and your beloved ones. You miss or fill in wrong information. For example, the password you re-enter does not match. Your age is under 13 due to choosing wrong date of birth or year of birth. Do not see confirmation email? Make sure you’ve correctly filled in your email address. Or search it in Spam box. 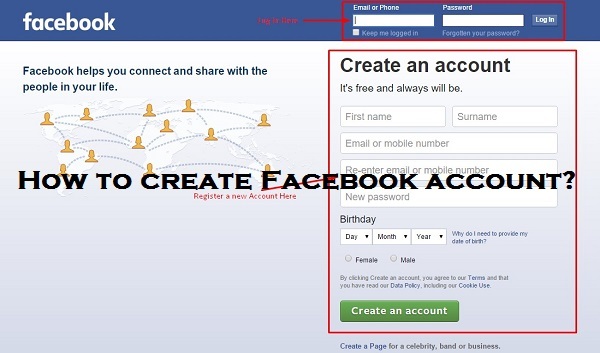 If you still can not find it or waste a lot of time to find it, then log in to your newly-created Facebook account and click on Send confirmation email.